Mirza Davitaia is an artist who has been painting forever. 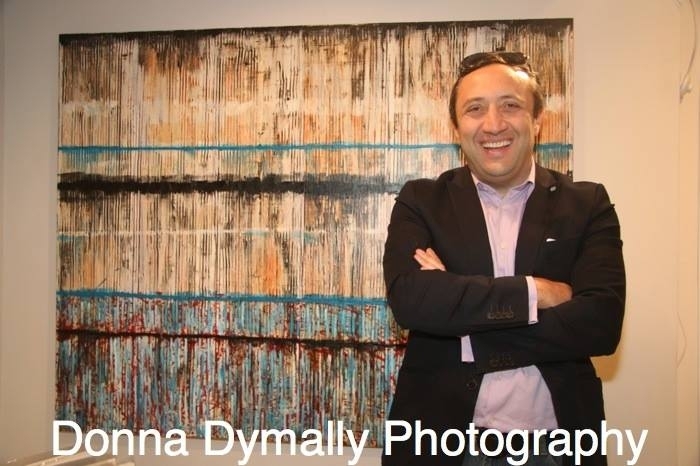 He is from the former Soviet Union, from the country of Georgia and in 2014 the American government granted him residency for his achievements in the field of fine arts. His large format paintings are exhibited in museums and galleries internationally, including Europe, Asia and North America. Everyone has a story and Davitaia’s story includes serving as Georgia’s Deputy Commissioner of Culture. But his passion goes beyond the visual arts. He has also produced film projects as well. His first film project was in in 2009, which was about the Georgia-Russia battle. In 2011 Davitaia teamed with Hollywood television and film director Renny Harlin and they were able to assemble a notable cast for the 5 Days Of War. His last film project was Jacky in Women’s Kingdom (political comedy), in 2014. Davitaia has also worked as a storyboard artist and animator for various European studios. “I think this experience helped me to reflect my artistic vision and long standing experience as a team player in my storyboard art.” M.D. Davitaia very much enjoys teaching art at his studio in Riverside, California, which is known as the city of arts and innovation. He is not only a teacher but also a speaker in the visual arts and film industries. Although he has received many accolades, he continues to evolve with his art and film projects. Davitaia studied at the State Academy of Fine Arts in Tbilisi, Georgia and then went on to earn a Master of Fine Arts degree at the Academy of Fine Arts in Nuremberg, Germany. He also studied at the School of Animation Films in Tbilisi, Georgia. Mirza Davitaia is surely a creative and driven artist who has many stories to share through his art and film projects. Some may describe him as a renaissance man, yet others as a gifted artist, but there is no doubt he is truly a heartfelt visionary who’s leaving a lasting imprint.